Does anyone know who the liner notes are by on page four of the booklet with Sparklehorse + Fennesz - In The Fishtank 15? 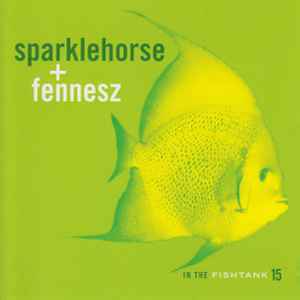 I love Fennesz, though I'm definitely not a Sparklehorse fan. With that said, I find many strengths and weaknesses in this EP. It starts out pretty strong with 'Music Box Of Snakes', and then falls a little flat with 'Goodnight Sweetheart', in which the repeated nasally singing of 'goodnight sweetheart' really puts me off. 'Shai-Hulud' and 'NC Bongu Buddy' are neat pieces as well, but the rest of the tracks are pretty bland, in my opinion. It's nice hearing Fennesz playing guitar so openly and un-constructed, but it's not necessarily anything really amazing.